Includes 4 combs covering 13 precision length settings from 0.5-21mm and a detail trimmer attachment. 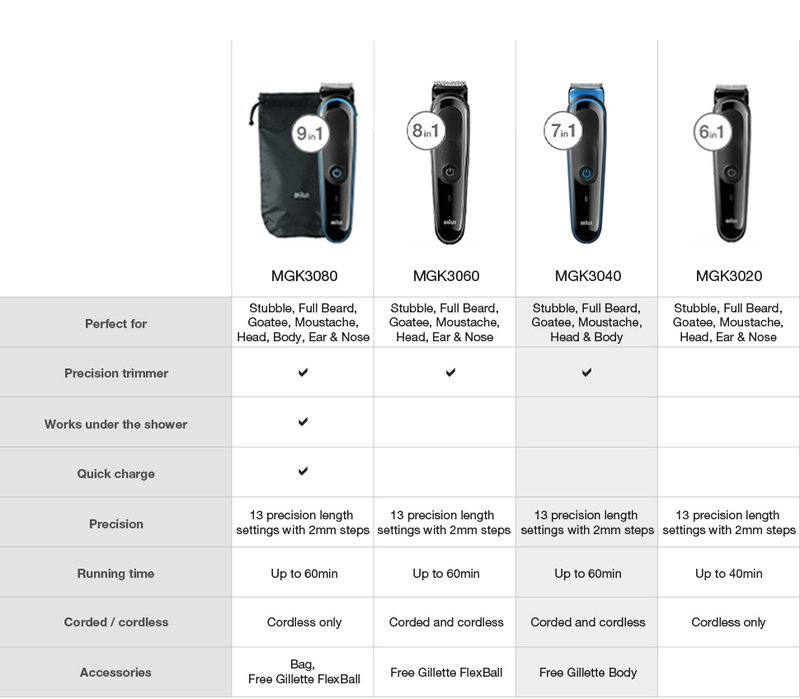 Male Grooming Kit 7-in-one Face/Body Trimmer with free Gillette Manual Shaver is rated 4.3 out of 5 by 12. Rated 5 out of 5 by Joey from Winning features The all-purpose shaver! Now I can shave all my bits using one handy tool. Can you trim your hair while its on charge? Its not a resort thats somewhere you holiday. I haven't used it near water. Yes more water resistant than water proof though. And yes it does come with charger. Hello Kevin, Thank you for reaching out to us. if you could please forward you best mode of contact to customerservice@shavershop.com.au we will contact you as soon as possible to facilitate this. Regards, Shaver Shop Customer Service.